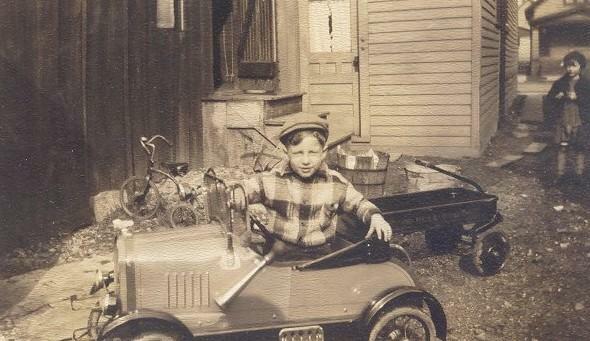 I was born Sept 10, 1924, at Deaconess Hospital, Buffalo, N.Y . . . a 7 month baby at 4 lbs. 6 oz. I went to Most Holy Redeemer and St. Matthews schools, Grades 1 to 6. I graduated from P.S. 62 and East High School in 1942 after completing a Fine Arts course. I also earned 4 credits at Erie County Community College in Mathematics and Architectural Drawing; the latter was taken in the early 1960's. 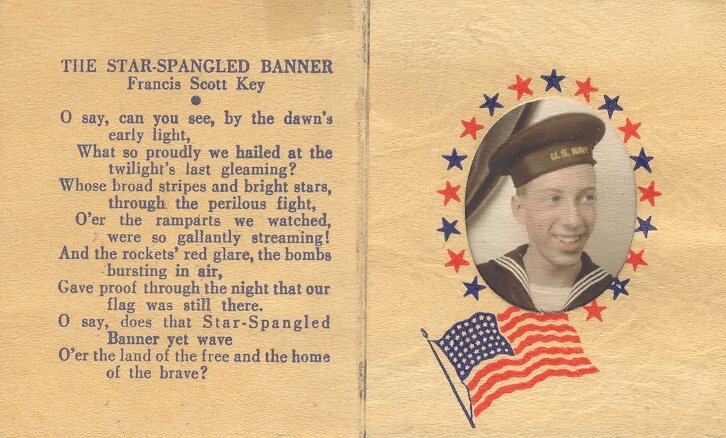 I served in the U.S. Navy from Dec 1943 to May 1946 and was honorably discharged at Lio Beach, N.Y. as a signalman 3/c. I worked several jobs before being hired as a apprentice cabinet-maker in August 1947 at Tradition House. I spent 25 years there building everything from furniture to boats but mainly made and installed church furnishings all over western N.Y. and as far as Cape Cod, Mass.and Baltimore, MD. I left Tradition House in 1972 on a Friday and went to work for Buffalo Mill and Cabinet on the following Monday. I worked there almost 12 years building Formica cabinets for hotels, hospitals, and schools. I retired from there on a disability pension in 1983; I had severed some fingers on my hand on a table saw. 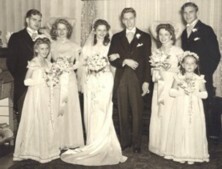 I married Jane Frances Morlock, daughter of Edward Morlock and Frances Fiebalkorn on August 2, 1947. We had two sons Douglas Eugene and Robert Richard. My hobbies were fishing, boating, travel, and the study of the American Indian, U.S. Naval History, and our grandkids. We lived in our house in Cowlesville for almost 23 years. The above autobiography is primarily written by Bob on February 14, 1991, with a couple minor additions/corrections plus the pictures inserted by me: Bernard William Patz. 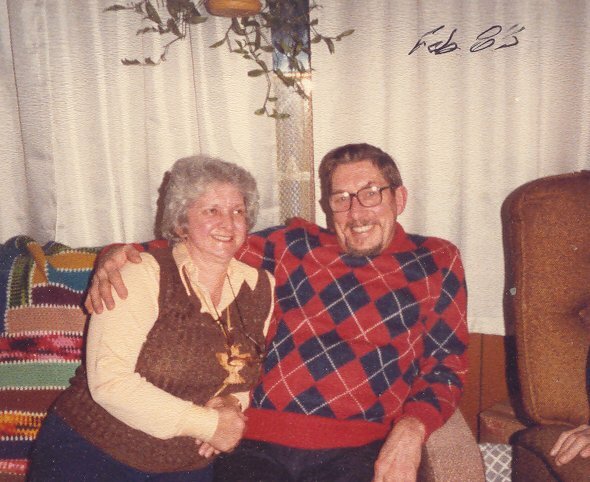 Bob passed at the Erie County Nursing Home on June 27, 2004, of breathing problems and donated his body to science. 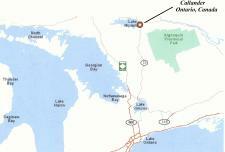 His ashes will be spread by his sons on his favorite fishing lake in Canada. Robert William Sahr, April, 1930. 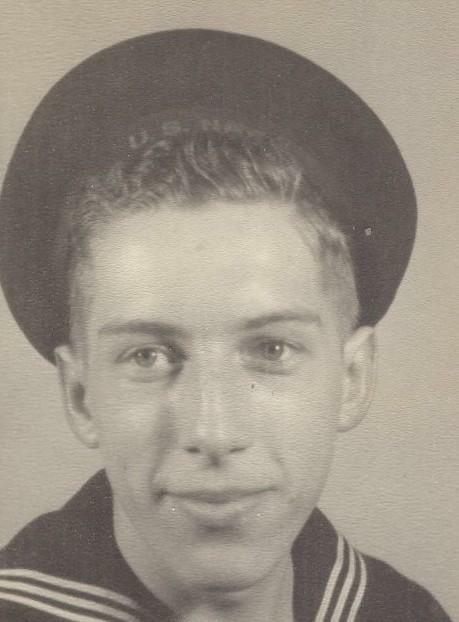 Robert William Sahr, U.S. Navy portrait, World War II. 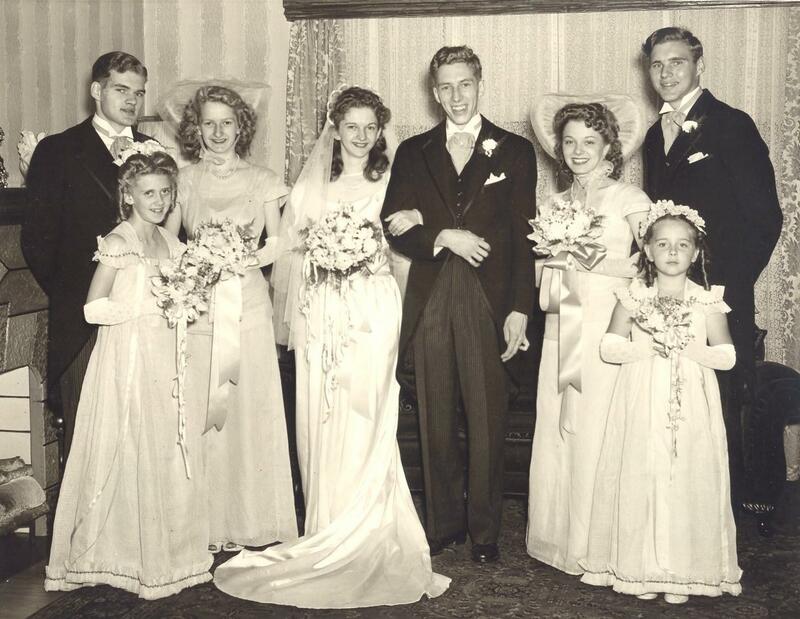 Wedding of Robert William Sahr and Jane Frances Morlock, August 2, 1947. 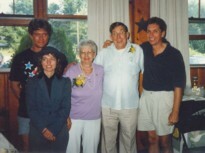 From left-to-right: Bernard William Patz, unidentified, Claudia Morlock (sister of Jane), Jane Frances (née Morlock) Sahr, Robert William Sahr, unidentified, unidentified, John Oscar Patz. 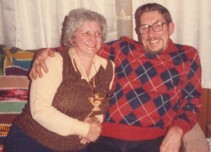 Jane Frances (née Morlock) and Robert William Sahr, February, 1983. 50th wedding anniversary of Robert William and Jane Frances (née Morlock) Sahr. From left-to-right: Robert Richard and Janice Sahr, Jane Frances (née Morlock) Sahr, Robert William Sahr, and Douglas Eugene Sahr. August 2, 1997. Otto William Sahr: Born 1892; died 1964. Mary Rosalia (née Patz) Sahr: Born 1894; died 1971. 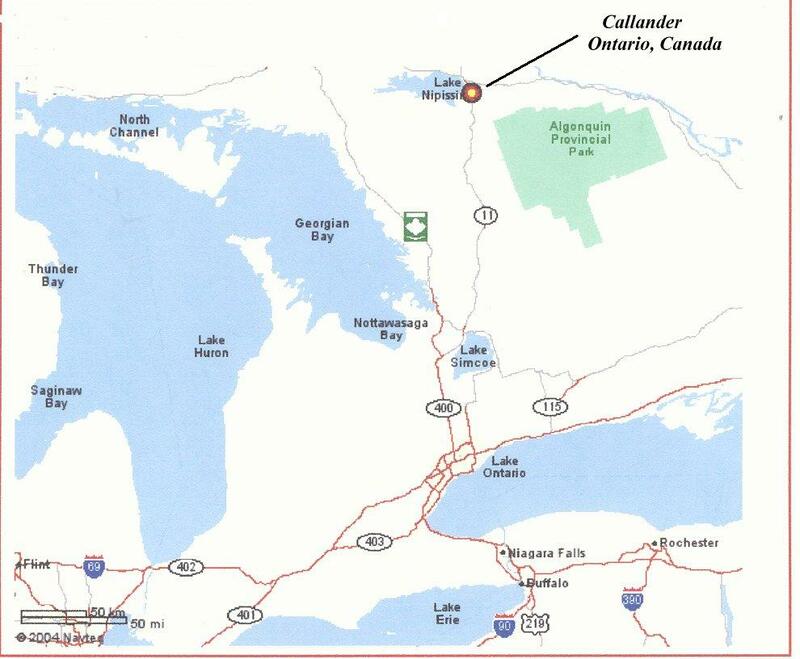 The cremains of Robert William Sahr were spread over the waters of his favorite fishing lake (Lake Nipissing), near Callendar, Ontario. Autobiography: Autobiography of Robert William Sahr, much of which is excerpted above. 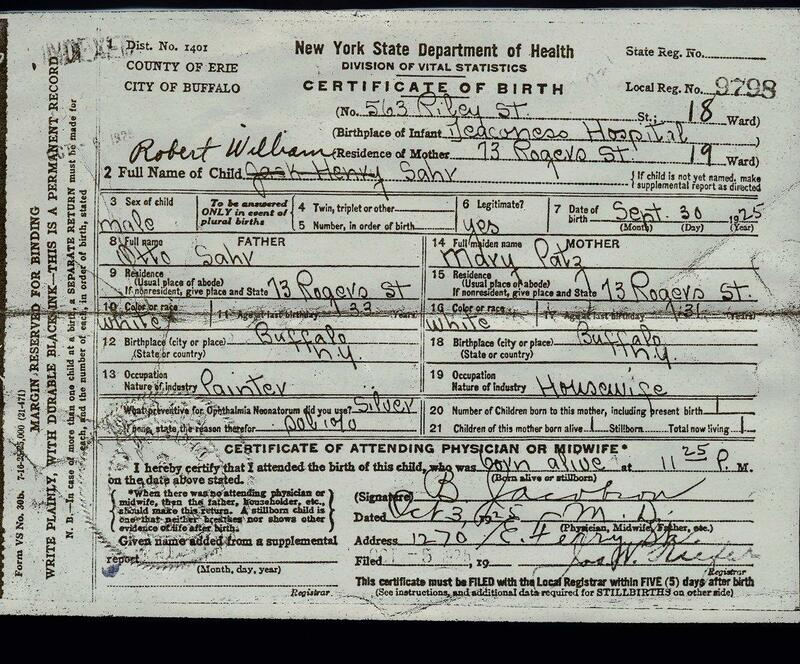 Birth Certificate: Robert William Sahr, born September 30, 1925. 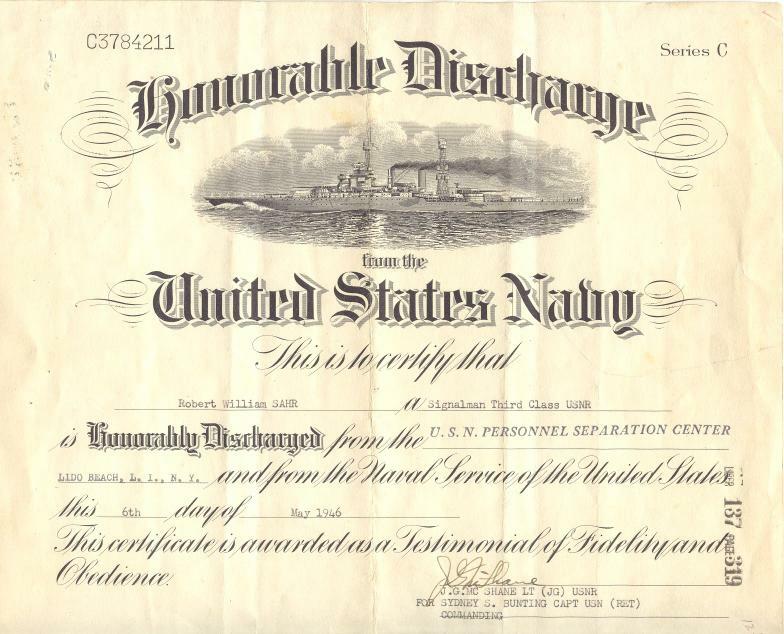 Honorable Discharge: Honorable discharge of Robert William Sahr from the U.S. Navy, May, 1946. 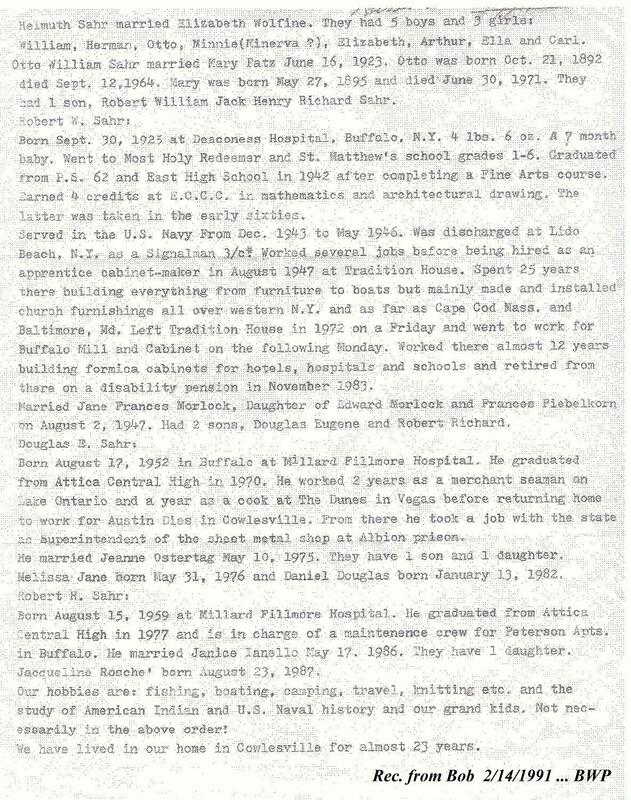 Marriage Record: Jane Frances Morlock and Robert William Sahr, August 2, 1947. 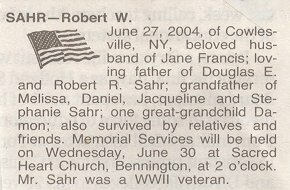 Obituary: Robert William Sahr, died June 27, 2004. 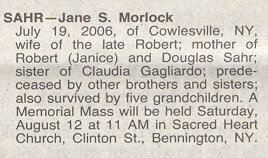 Obituary: Jane Frances (née Morlock) Sahr, born August 1, 1928, died July 19, 2006.